The latest glove boxes and isolators by PLAS-LABS! We produce equipment, helping customers produce results! 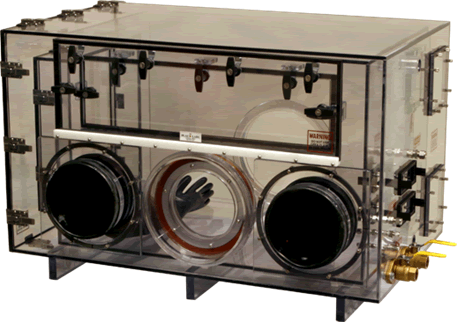 This double-walled custom isolator was designed for working with aerosol chemicals. 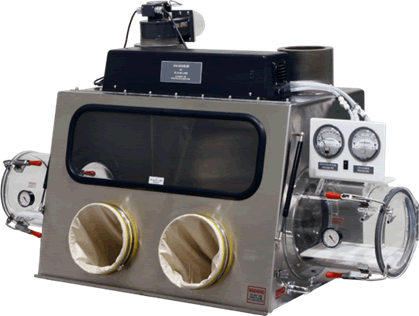 This stainless steel glove box was designed with ingress and egress transfer chambers and double-HEPA filtration for powder handling. Continuously working with researchers, developing the latest in containment and isolation technology!